For more info and tickets, click here. Hello Gold Mountain is a requiem for the lost possibilities of the Jewish community of Shanghai. The work, an original composition by Wu Fei, tells the stories of Jewish refugees who fled from Europe to Shanghai during WWII, and later from Shanghai to San Francisco during the Chinese Civil War. Drawing on the musical traditions of Eastern European Jewish culture and China, Hello Gold Mountain reflects on the cultural impact of refugee populations both then and now. The title “Hello Gold Mountain” comes from 旧金山 San Francisco, because San Francisco is where most of the Jews from Shanghai landed, at least those who made it to America. And because the city is also important to Chinese migrants, it made sense as a title for a work that is about migration, and acceptance. 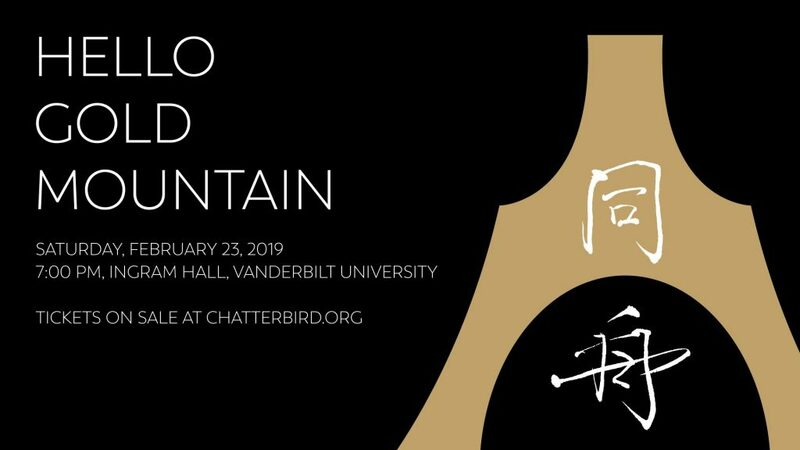 chatterbird ensemble will premiere the work February 23 at Ingram Hall, featuring Wu Fei on guzheng/voice and Silk Road Ensemble’s Shanir Ezra Blumenkranz on oud — the traditional Chinese and Jewish / Arab / Persian plucked string instruments. This performance is presented in partnership with the Tennessee Immigrant Refugee Rights Coalition (TIRRC), the Jewish Federation of Nashville and Middle Tennessee, Nashville Public Library and the Chinese Arts Alliance of Nashville. Instrumentation: flute/piccolo, oboe, clarinet (B flat), bassoon, trombone, piano, percussion, violin, viola, cello, contra bass, guzheng, oud and voices. Events listed on this calendar are for informational purposes only and are not necessarily endorsed by TN-China Network. Have an event you would like listed? Email us at erowland@tnchinanetwork.org. TN-China Network educates and connects people across Tennessee and China to strengthen TN-China business ties and enhance bilateral trade and investment. Join TNCN in the Knox Asian Festival 5K/1 Mile Race! © Copyright 2014-2017 TN-China Network. All Rights Reserved.